The mining sector earned more than US$3,4 billion last year, driven by high international metal prices and record breaking output particularly for gold, diamonds, chrome and nickel. This saw the Zimbabwe Revenue Authority (Zimra) getting over US$95 million in mining royalties. Statistics gleaned by The Sunday Mail Business showed that the sector had out a solid performance, consolidating its position as a critical pillar of this economy. Although Minerals Marketing Corporation of Zimbabwe (MMCZ)’s corporate communications executive Ms Pretty Musonza said the actual figures were not yet ready, she told The Sunday Mail Business last week that overall mineral output and foreign currency generation statistics for last year indicate the sector’s earnings grew significantly. Ms Musonza revealed provisional figures point to “an increase from the 2017 figures”. “The figures for last year have not been finalised. They should be ready in the near future,” said Ms Musonza. MMCZ, which was established through an Act of Parliament (MMCZ Act Chapter 21:04), is an exclusive agent for marketing and selling of all minerals produced in Zimbabwe except silver and gold. Figures obtained by The Sunday Mail Business last week from top mining industry sources, show that the country could have generated in excess of US$3,4 billion, up from $2,3 billion in 2017. Preliminary figures show that Platinum Group of Metals (PGMS) matte rose 33 percent to 15 115 metric tonnes, and generated about US$625,9 million. In monetary terms, PGMS matte recorded a 17 percent rise compared to 2017. However, PGMS concentrates output declined 14 percent to 134 316mt from the prior year, and recorded a 10 percent decline in foreign currency generation to US$411,3 million. Chrome concentrates output increased by 26 percent to 658 306mt and generated US$102,6 million with nickel output also rising by 9 percent to 61 073mt and raked US$59 million. Output for chrome ore lumpy also jumped by 20 percent to 160 623mt and generated US$16,2 million, which was also an 18 percent surge from 2017. High carbon ferrochrome (HCFC) declined 26 percent to 287 835mt and brought US$272 million into the country. The above minerals alone generated just over US$1,4 billion. Gold output hit a new high of 33,3 tonnes last year, mainly driven by small-scale miners who contributed 21,7 tonnes, and generated US$1,7 billion in foreign currency. Gold is bought by Fidelity Printers and Refiners (FPR), a unit of the Reserve Bank of Zimbabwe. The yellow metal’s performance represents more than 65 percent of Zimbabwe’s mineral export receipts last year. Gold overshadowed tobacco, which raked US$882 million after 253 million kgs went under the hammer. With diamond output surpassing the 2,4 million carats target to end the year on 2,8 million carats, more money is expected from that sector, and experts see mineral export receipts topping US$3,4 billion. In the first eight months of last year, lithium posted a 45 percent rise from 34 110 tonnes to 49 359 tonnes; granite rose from 109 600 tonnes to 160 600 tonnes and coal increased by 4 percent from 2,3 million to 2,4 million tonnes. The national tax collector reported last week that the mining sector contributed US$95,67 million in royalties, against a target of US$90 million. This represents a positive variance of 6,30 percent. The impressive performance of the revenue head represented 30,86 percent jump from the US$73,11 million achieved in 2017. Zimra’s 2018 revenue report released last week says: “The revenue head (mining royalties) contributed US$95,67 million against a target of US$90 million, translating to a positive variance of 6,30 percent. “Revenue collections grew by US$30,86 million from the US$73,11 million collected in 2017. The performance of the revenue head was influenced by the movement of international commodity prices.” Mineral prices largely surged in the first and fourth quarters of 2018, thereby enhancing revenue collections. Zimbabwe benefited from increased output for major minerals such as gold, platinum and diamonds. 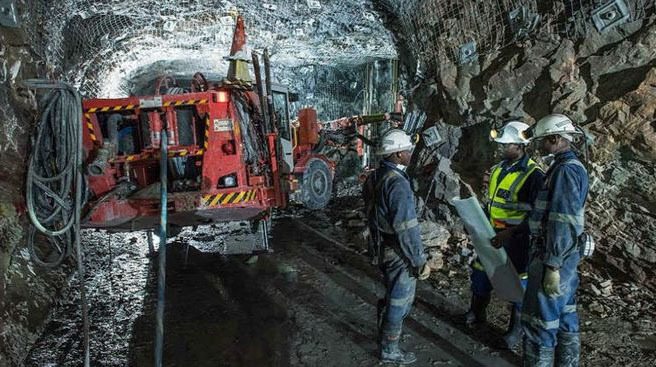 Chamber of Mines of Zimbabwe chief executive officer Mr Isaac Kwesu, said the jump in mining royalties was indicative of the growth of the mining sector. “I think that it’s a sign that when the sector grows, its contribution to royalties and fiscus and the economy at large, will also increase,” said Mr Kwesu. “So it (increase in mining royalties) was on the back of improved performance of the industry and output growth relative to mineral prices. Mr Kwesu contends that mineral output will continue to rise this year, especially if Government addresses the cost of doing business in the country. “The challenge remains the high cost structure in the industry but as long as we manage to produce cheaply, as long as we secure inputs cheaply, as long as we get capital cheaply, I think the sector is poised to expand output. “We know that the authorities are doing something about the challenges we face as a sector and the industry continues to engage,” said Mr Kwesu. He said the mining sector must take advantage of the rising global prices, “otherwise we miss the opportunity”, if the country does not increase output. “So I think stakeholders, miners and Government, we must do everything possible so that we benefit from the expansion in the global economic output,” said Mr Kwesu. Government wants the mining sector to generate US$12 billion revenue by 2025.